Used car guys want to offer the New Zealaners an easier, friendlier and fairer way of selling their used Mazda, any condition and any age. The team at Sell My Mazda is made up of automotive trade professionals, with a combined experience of over 20 years. Our usedcarguys.co.nz website has been developed with our customers both old and new in mind. This website has been created with ease of use in mind so that you can browse through and find out more about our company and what we can offer. Used Car Guys are always on hand to answer any questions or queries you may have so please don’t be afraid to pick up the phone or the keyboard and get in touch and we will get back to you as soon as possible. So start now by entering your Mazda car details on our website. Simply by entering your vehicle registration number and mileage, we will send you a car valuation for your used Mazda instantly and free. We provide a hassle free way for members of the public to quickly and efficiently sell Mazda. Within a few hours you could have sold your car and have the cash in your hands or bank, so sell Mazda with our website for cash, now. 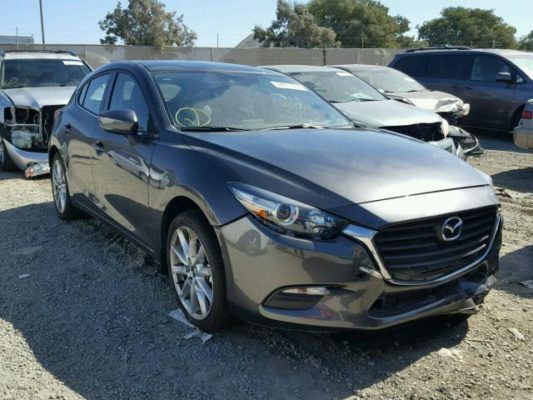 Why should I sell my Mazda to Used Car Guys? With Used Car Guys, you can dodge the hassle of a private sale and use the cash you receive to negotiate a better deal on your next car! Value your car with Sell My Mazda today! If you’re looking to sell your Mazda or just get an idea of how much the car is worth, be sure to get an online car valuation from used car guys! The Sell My Mazda collections team will always arrive on time. We really do deliver what we promise to deliver – from online sale to offline collection. From the above it is important to note that the valuation of your car is based upon the information that you supply to us via this website and recorded telephone call. Therefore, if the information you supply is not accurate then it follows that our valuation will not be accurate. Are you trying to sell your Mazda, but struggling to find a buyer because the vehicle is faulty? Every vehicle will eventually fail to resist pressure of the wear and tear of being driven every day. No matter what model of Mazda you have, it will deteriorate over time and develop faults, and there will inevitably come a time where the cost of repair is no longer justified. Mazda 2, Mazda 3, Mazda 5, Mazda 6, Mazda RX8, Mazda MX-5, Mazda CX-5, Mazda BT-50, Mazda 323, Mazda 626, Mazda Demio, Mazda Tribute, Mazda MPV, Mazda Premacy. If you have a Mazda that is less than 10 years old or registered after 2000, no matter what condition it is in, we will buy it for cash! Contact us for your free no obligation quote now; you could have the money in your bank within an hour, and we’ll collect your car within 24 hours – it couldn’t be simpler!